I’ve mentioned my hair before. It’s always been a struggle. A struggle to fight frizz, a struggle between the urge to straighten it or keep it curly, a struggle to make my curls look good, just everything about my hair has been a fight for the past 16 years. I like how it looks straight sometimes and I enjoy it curly as well. Whenever it looks good, I love it. What I love best is not having to do a whole lot to keep it looking its best. Spending a lot of time on my looks is not my idea of a good time. Being myself is also important, so trying to “go with the flow” and bring out my own natural beauty is prefarable to trying to fight nature and be someone/something I’m not. 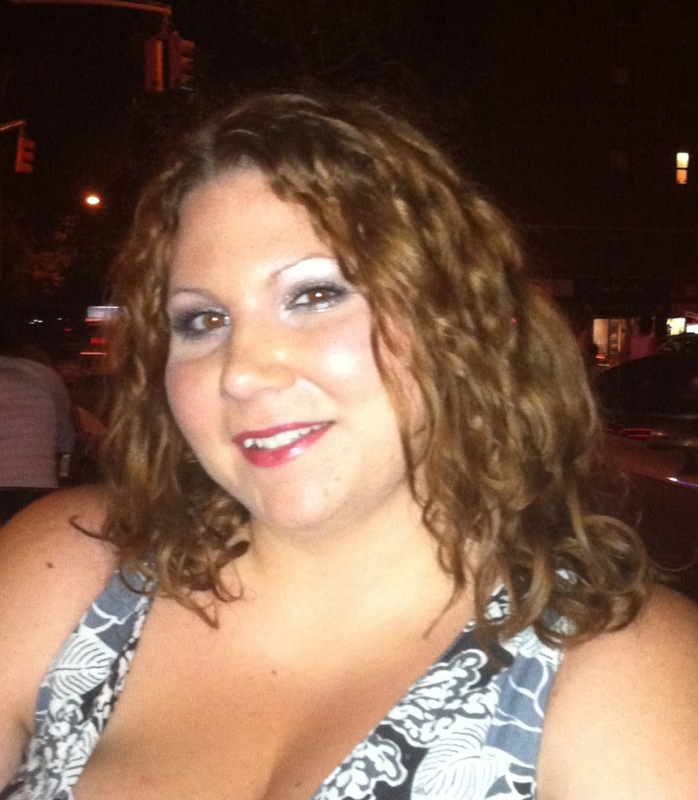 In 2008 I heard about the Curly Girl method on NaturallyCurly.com. There is a book, The Curly Girl Handbook that helps you get the best out of your hair. It’s core is using products that are sulfate and silicone free. Sulfates are harsh and drying to hair, and curly hair can tend to be dry as it is, so adding something like that to it isn’t doing any favors – it creates more frizz and continues the cycle of relying upon anti-frizz products to try to tame your mane. Those anti-frizz and smoothing products come with problems of their own as well. From what I’ve read, the silicones in anti-frizz products basically act as a band-aid and don’t actually help. Sure, it will appear that your hair is smoother, but it’s not getting to the core of the problem and fixing it – the problem being dry & under-conditioned hair. 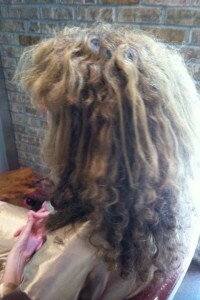 The frizz is like little fingers of your hair reaching out trying to grab any piece of moisture they can find. Silicone seals the hair shaft and this keeps out the good things your hair is trying to reach for – moisture! All the while this is happening, the ends will keep splitting and you will keep reaching for more and more products to try to remedy this, continuing the cycle of hair abuse. 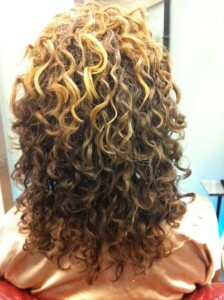 That’s where the Deva curl products differ. These are the products from the Devachan Salon, founded by the author of the Curly Girl Handbook. They focus on moisturizing your hair from the inside out, eliminating your need for emergency frizz cover up. “Frizz is a curl waiting to happen,” is the defining statement that Lorraine Massey sets out in the book, guiding you through the different curl types and how to properly care for them. I’m currently between a wavy and curly type of hair, since I’d been coloring and trying to straighten it so much, the damage had lessened my bouncy, tighter curls. When I first started out with the curly girl method, I’d used products from other companies that were free of sulfates and silicone. I had good results, sometimes, but was still frustrated that I’d had more bad hair days than good ones. This is when I reached my breaking point: either find a way to get my curls to be their best or resign to a life of straightening. This is when I was considering getting the keratin hair treatment to straighten it in a more permanent way. After doing research on this, seeing real-life before and after results, I decided this was too harsh, damaging and detrimental to my health. Reports came out that even keratin treatments that claimed to be formaldehyde-free weren’t, and had very serious health concerns. Formaldehyde is a known carcinogen and a respiratory irritant. Serious health concerns aside, it doesn’t always deliver the promised results, and the grow-out time looks awful. I started getting serious about conditioning my hair better using the Deva Heaven-in-Hair deep conditioner at least once a week. It smells amazing and I definitely started to see improvement. The other products in my regimen included shampooing (occasionally) with Burt’s Bee’s Pomegranate & Soy Volumizing shampoo (a non-sulfate shampoo that is CG approved), co-washing (conditioner washing) most days with Suave Natural’s Lavender & Lilac conditioner, and conditioning with Garnier Fructis Pure Clean Fortifying Conditioner (free of silicones). This was a start, but I still knew I was missing something. This is when I gave up the ghost, let go and let Deva. I went to their salon location on Broome Street in NYC since I was in the area. One of the stylists was in the reception area and took a look at my curls, asked me some questions and suggested the right products for me. I left the mothership that day with Low-Poo, One Condition and AnGel. I’d originally only went in to get another bottle of gel and I’m SO happy that Rick was there to help me out! The next day, I used his tips on what would work best for my hair and the results were immediate and amazing (you can see the photo of my curly hair at the top). My hair felt great and looked great, and continues to look better each and every day as it gets better conditioned each time I use the Deva products. 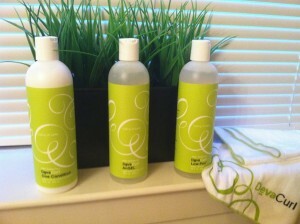 Not only does my hair look great, but it smells great… Deva products smell absolutely heavenly. My haul – One Condition, Low-Poo and AnGel. And a free microfiber towel! The only part of the CG method that I don’t subscribe to is the idea that you can not ever wear your hair straight. 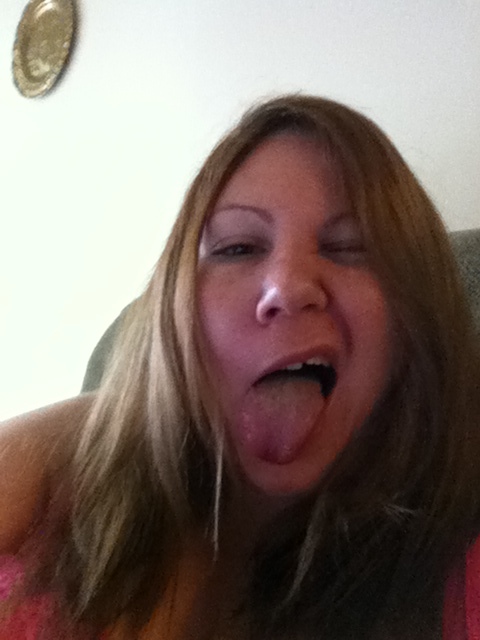 I think part of the fun of having hair is having the freedom to do what you want with it on a whim. Once in a while, I might want to wear it straight. Just that now, I know a better, gentler way of straightening it myself – with a lower temperature flat iron, and plenty of TLC before & after. I’m making this blog post in hopes of spreading the love and helping out another girl like me who gets angry at her hair, who’s looking for that magic fix. This is for you… love your hair, stop fighting yourself.